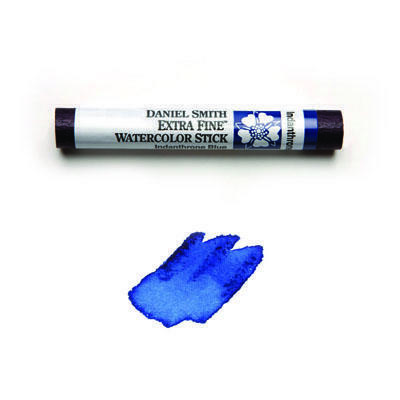 This organic Vat pigment is a medium staining primary blue. Warmer than most blues, Indanthrone is clear with a delightful range from blue-black to stonewashed denim. Indanthrone Blue offers exciting new possibilities for Indigo skies, water and interesting shadows, as it can be successfully graded to achieve atmospheric and color perspective. DANIEL SMITH originals Anthraquinoid Red, Indian Yellow and Indanthrone Blue complete a transparent staining trio.